Supplier Assessment assumes utmost importance in the current scenario of global purchasing. Every Organization (especially manufacturing organizations) needs to have an assessment matrix or model in place. Companies who assess their suppliers find that they have better visibility into supplier performance, uncover and remove hidden cost drivers, reduce risk, increase competitive advantage by reducing order cycle times and inventory, gain insight on how to best leverage their supply base, and align practices between themselves and their suppliers. Companies pursuing supplier assessment commonly see over a 20% improvement in supplier performance metrics (e.g., on-time delivery, quality, and cost). What is a Supplier Evaluation? Supplier assessment refers to the process of assessing and approving potential suppliers by quantitative and qualitative assessment. The purpose is to ensure a portfolio of best in class suppliers is available for use. There are different methods and approaches to carrying out a supplier assessment with emphasis on CSR practices. Some examples include questionnaires, scorecards, site visits and third-party standard certifications. A number of organizations such as EcoVadis have developed assessment tools and methodologies to help companies perform Supplier Assessments. The objective of the EcoVadis supplier assessment is to assess the quality of a company’s CSR management system-through its policies, implementation measures and results. Increase performance visibility. When companies do not know the facts about how their suppliers are performing, supplier management tends to be based on guesses. Moreover, the simple act of measuring performance can help improve performance. This improvement can be even more dramatic when companies award additional business on the basis of suppliers meeting performance goals. Uncover and remove hidden waste and cost drivers in the sustainable procurement. The sustainable procurement is full of potential risks that can originate from suppliers in regards to CSR. Some of these risks can be avoided by better communications between customers and suppliers. By better understanding supplier performance and supplier business practices and processes, customers can help suppliers drive waste and inefficiency out of the business, resulting in higher-quality suppliers and lower costs. Leverage the supply base. By measuring supplier performance, an enterprise can set a threshold for its suppliers that can lead to higher-quality results. Companies can better plan new products and services based on a good understanding of its suppliers’ capabilities and performance levels. Mitigate risk. Insight into supplier performance and business practices helps reduce business risk, particularly given companies’ increasing dependence on its key suppliers. Risks can be financial and operational and increase with geographic distance. Improve supplier performance. The goal of supplier assessment should be supplier performance improvement. 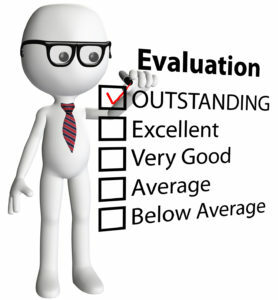 While simply measuring performance has a positive effect, supplier assessment can be most effective when it leads to continuous improvement activities and actual supplier performance improvement.Follow-up activities, such as supplier training and development, and corrective actions to address supplier assessment findings are the best ways to obtain measurable and positive results. Are you looking for tools to assess the suppliers in your sustainable procurement base and improve their performance? EcoVadis helps thousands of companies like yours to assess and improve their sustainable procurements. Contact us to learn more!